Hello my paper loving friends! 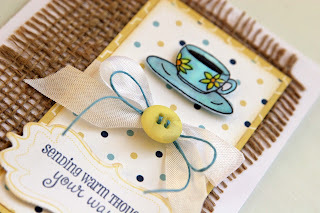 I have a quick project to share with you along with the winner of my giveaway! 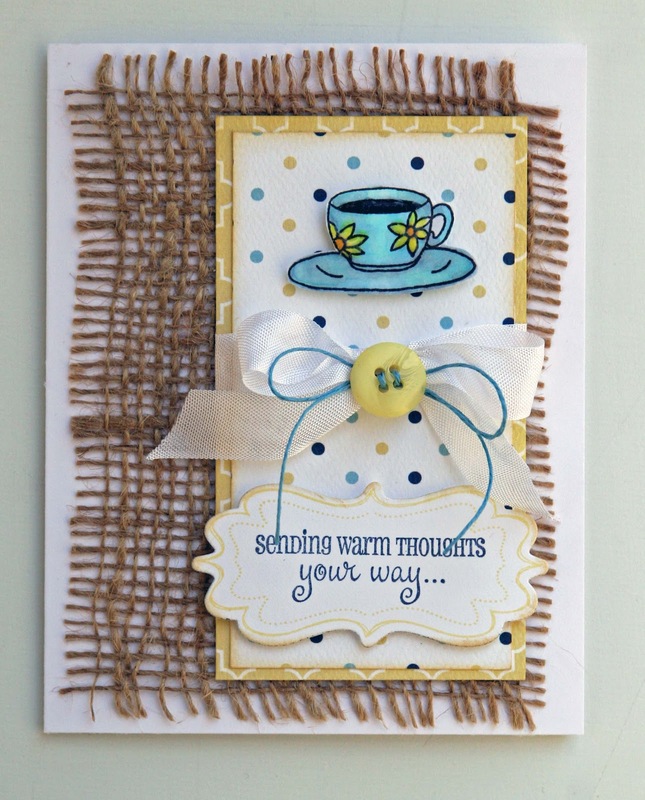 This is the first card I made after my recovery from surgery (weeks after, hence the crooked burlap! :) One handed card making was difficult! If it was too perfect, you wouldn't know it was hand made! Right?! Well that's what I'm going with! Also I wanted to give an update on my BIG Announcement! It has gotten pushed out for just a bit. However I assure you, it will be soon (if you look really hard, you may find a small clue)! Again, I want to THANK ALL OF YOU for you support during my time away. I wish I could give you all something special! Now after my long 2 month absence, here is the winner of my giveaway! Karen, please email me at lizspaperloft@sbcglobal.net with you mailing info so I can get this HUGE prize package to you! Love it! You're torturing me with all these hints....can't wait to hear your big news. Congrats to Karen :) So glad you are back Liz! I think I know what your surprise is, but will wait to hear. 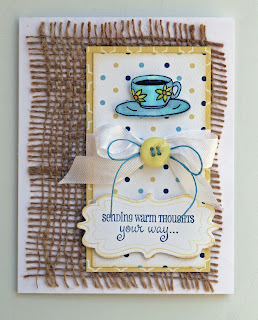 Love the burlap on this card!!! I think your card looks AMAZING! Love the texture of the burlap...it's PERFECT! Liz ~ Oh the card is just GORGEOUS! So glad that shoulder surgery didn't take away your talent! CONGRATS to the winner too! I can't wait to see what your BIG announcement is! Too exciting! I think your card is awesome Liz!!! So glad to see u back! Congrats to the winner!!! Liz, it is wonderful to see you posting again! I think your card is perfect! Can't wait to see what you are up to... ~Hugs!! I like the burlap on the card and congrats to Karen. girl your "one handed" card is perfect!!! Great job with the stamp set...just love that release! Great card! Congrats to Karen! I LOVE this card! I'm looking at it in person right now, lucky me! You are so talented, and we are all thrilled to have you back creating!! !